TCEC has been monitoring the coming winter weather event to be prepared in case of potential damage to the system and widespread outages. A winter storm system is forecasted to impact TCEC’s service territory and surrounding areas beginning the Saturday after Christmas, December 26, and continuing through early Tuesday morning, December 29. While precipitation amounts will vary across the cooperative’s service territory, cold temperatures and wet conditions are a combination for possible power outages. · Save TCEC’s phone number 580.652.2418 in your mobile phone in case you need to call quickly if your power goes out. · Download ‘Touchstone Energy Weather Connection’ from your phone’s app store. Enter the Co-op Code ‘8005223315’ to unlock premium features. · Visit the ‘Outages’ tab at www.tcec.coop to review outage preparation tips, including items for an emergency kit, TCEC’s generator safety brochure and app download links. During the storm, members can report outages via the mobile app or by calling TCEC. This ensures the outage is recorded and entered into a service order to be dispatched to a serviceman to restore power. Please be patient if the lines are busy. 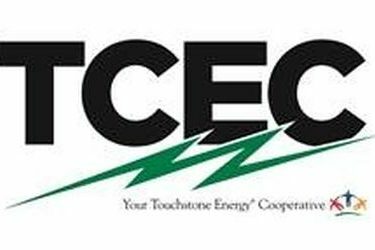 During major outages, TCEC’s telephone lines are crowded with members calling in. Calls are answered 24 hours a day, and answered in the order they are received.